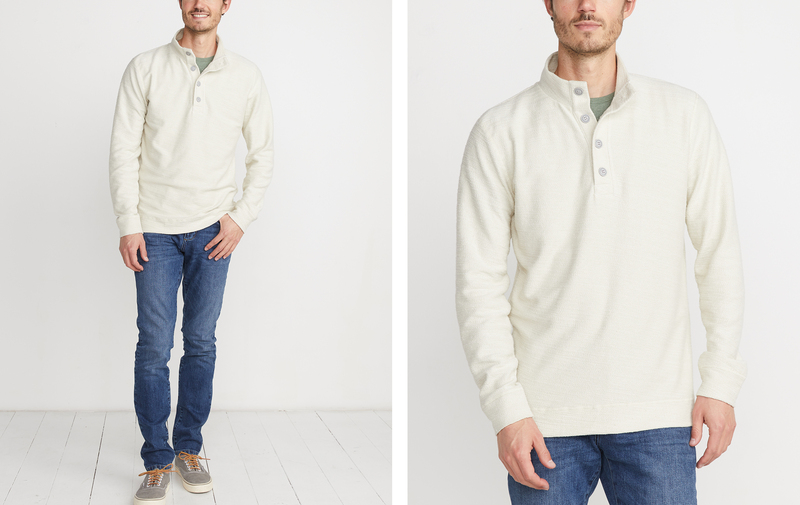 In the office we call this the Date Night sweater, because it's one of those things you keep in your closet when you have to go somewhere kind of nice for dinner. 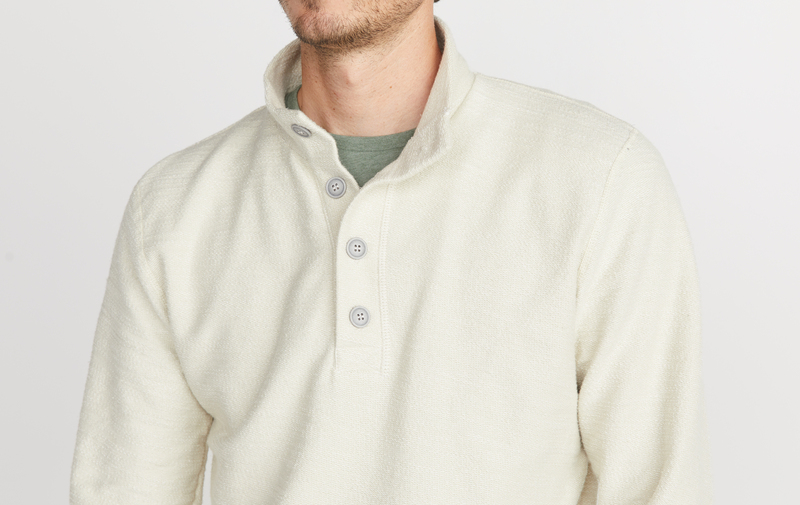 We got rid of our classic shawlneck (it was about time, honestly) and replaced it with a modern stand-up collar. Your date will thank you. A custom-developed fabric with a loop construction for texture. 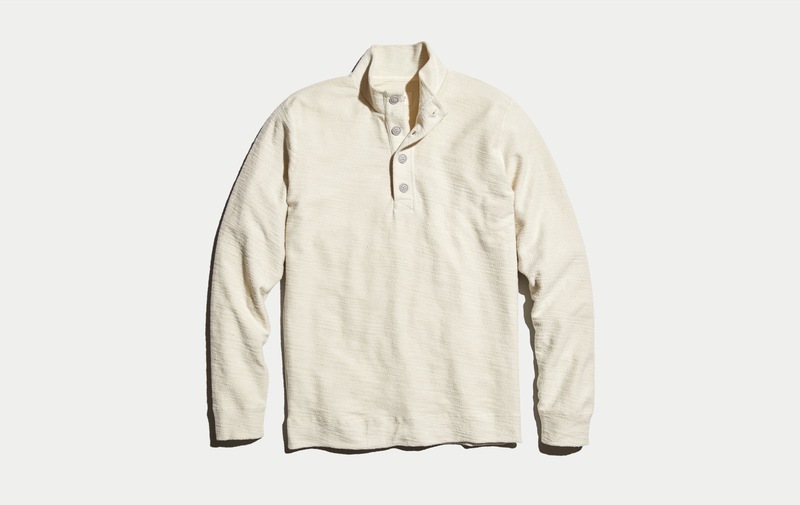 Pre-washed for extra softness, but shrinks about 1" in length if you throw it in the dryer.